The stir-frying process requires high heat and the proper type of cookware for a successful outcome. Ingredients are stirred and tossed in a large pan to ensure quick and even cooking. A wok is the traditional type of pan used for stir-frying because it has deep tapered sides, which allows food to be stirred and tossed easily. 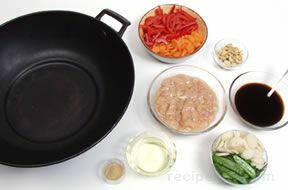 If a wok is not available, a deep heavy skillet works very well for stir-frying. A large nonstick pan is also a good choice. Wood or metal utensils should be used to stir the food. Plastic utensils should be avoided because they can melt. All of the ingredients must be prepared and within reach before the stir-fry process can begin. All vegetables should be chopped and ready to go. Precut vegetables can be purchased in most food stores, but they are more expensive. Herbs and spices and any liquid ingredients should be measured before beginning. It is helpful to place the ingredients in small bowls or other containers so that everything is organized and within reach. Once the cooking process begins, there is no time to prepare or measure ingredients. The turkey for stir-fry recipes should be cut into small strips and the skin should be removed. It will be easier to cut the strips if the turkey is placed in the freezer for a short time to firm up the flesh, or if the turkey was already frozen, the strips can be cut before the turkey is fully thawed. The small strips will ensure that the turkey will cook thoroughly, even when it is only cooked for a short time. The turkey pieces can be marinated or coated with herbs and spices before they are cooked. Only 1 or 2 tablespoons of oil per pound of ingredients is required as a cooking medium. Oil with a high smoke point should be used so that it will not burn. It is important to add different ingredients to the pan at the appropriate times to ensure that all the ingredients are cooked thoroughly, but not overcooked. Some ingredients require a longer cooking time than others so those ingredients need to be added to the pan first. If everything is placed in the pan at the same time, the results will be unsatisfactory. 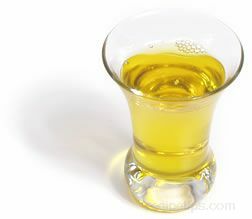 are peanut oil, corn oil, soybean oil, and olive oil. The turkey should be stir-fried until it is thoroughly cooked and the other ingredients should be cooked until tender. None of the ingredients should be overcooked or the turkey strips will toughen and the remaining ingredients will become limp and soggy.